I liked their professionalism, their honesty, and just the way they interacted with us. They did a very thorough and very complete job. The young fellow that came out was magnificent. They're very reliable and trustworthy. They were the only company that I was able to come across that offered warranties not only on the materials used to do the job, but also offered warranties on their craftsmanship. They're constantly communicating with their clients, and they seem to be very knowledgeable. We were juggling around a few other contenders, but Simon Says Roofing was the company that came out on top over the others. They did a great job, they were on time, they kept everything clean, and they were great to deal with. Just if there were any questions, they took care of them. We didn't have any issues. It was a rental property, and they were good with the tenants. I was pretty happy with everything that they did. 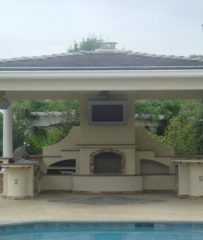 Simon Says Roofing installs, replaces, maintains, and repairs roofs for residential and commercial clients in Santa Clara and San Mateo Counties. The company has the training and equipment to work on all types of roofs, from composition and tile to wood shake and flat roof systems, and it’s also qualified to perform roof inspections; install skylights, sun tunnels, solar fans, gutters and downspouts; provide gutter cleaning; and more. Areas Served: Serving Santa Clara and Contra Costa Counties including San Jose, Palo Alto, Mountain View & Redwood City. Simon Says Roofing has been installing, maintaining, and repairing roofs for residential and commercial clients in Santa Clara and Contra Costa Counties since 2000. 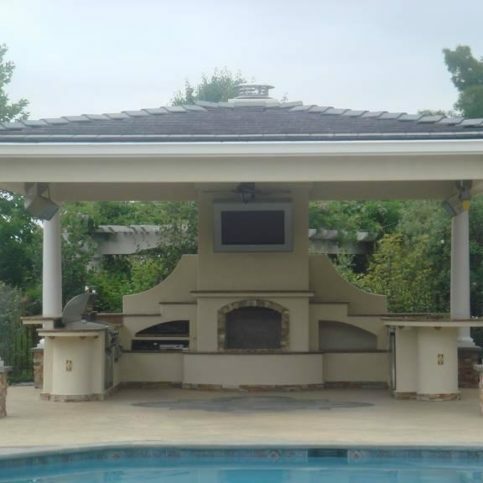 The family-owned and operated company has the in-house capabilities to work on all types of roofs, from tile and slate to thermoplastic and corrugated sheet metal, and it’s also qualified to install skylights, sun tunnels, and solar fans. Additionally, some homeowners are proactively replacing older shake roofs with composite roofs to avoid expensive upkeep. “Shake roofing is one of the most expensive types of roofing because it has to be fire-treated and have composition underneath to earn a Class A rating,” explains Mr. Simon. Regardless of where you live or your reasons for replacing your shake roofing with composite shingles, it’s important to work with an experienced roofing company that has a proven record of replacing old shake roofs with more economical and safe choices. A: It depends on the type of work and the size of your roof. Most roof installations take three to four days to complete, and repairs take anywhere from a few hours to an entire day. Q: Once you start my job, will you finish it before moving on to the next job? A: Absolutely. Once we start working on your project, we’ll work continuously until it’s done. Q: Will you work on my roof in the rain? A: If we’re partway through the job and it starts to rain, we’ll stop and make sure everything is covered so there are no leaks in your home. Once the rain stops, we’ll start working again. Q: Do I need to replace my roof if it has a leak? A: No, we can repair most leaks. A: Yes, our estimates are always free. Our owner, Darryl Simon, will come to your home and perform the estimate himself. Q: Can I replace my wood shake roofing with composite roofing? A: Yes. Shake roofing is one of the most expensive roofing systems because it has to be fire-treated and have composition underneath to earn a Class A rating. Also, some cities won’t even allow homeowners to have wood shake roofing, and insurance companies don’t like it because it’s a potential fire hazard. Q: Can a new roof help insulate my house against the heat and cold? A: Yes, but you also need to make sure your house has proper ventilation. Q: Will installing a satellite dish affect my roof’s integrity? A: It might if it’s installed incorrectly. Some dish installers bolt dishes onto something they shouldn’t drill into, and some don’t even seal the installation site. We recommend asking your satellite provider to install your satellite dish on a stand or a location besides the roof. Q: Can you repair termite and insect damage to my roof? A: Yes. We clean up at the end of each workday and perform a final cleanup at the end of the job. We’ll leave your home and yard cleaner than they were when we arrived. Darryl Simon is a 26-year veteran of the roofing industry and president of Simon Says Roofing, a Diamond Certified company. He can be reached at (408) 596-9102 or by email. Outside of work, Darryl devotes the bulk of his time to his primary avocation: sports. “Sports are huge with me and my family,” he affirms. “I spent five years coaching high school sports, and I’m currently head coach of the 12U California Riptide, a girl’s competitive fast-pitch softball team.” Darryl also enjoys sports as a spectator, whether supporting Bay Area teams like the San Francisco 49ers and Giants or rooting for his kids in their scholastic sporting events. “All my kids are in sports, including my oldest daughter who, in her freshman year of college, is second in her softball conference for home runs.” When he’s not watching or coaching sports, Darryl enjoys active pastimes like fishing and dirt biking. A: I played baseball, basketball, football and soccer. Q: If you could wear any number on your sports jersey, what would you choose? A: Number 8, which I wore throughout my entire sports career. It was my first number when I was six years old, and I just stuck with it. A: Refrigerator magnets. Whenever the softball team goes to a new town for a game, I always try to get a local magnet for my refrigerator. A: Pancakes…but I’d rather have French toast. SAN JOSE — Everyone knows it’s a bad idea to wait until the last minute, and roof replacement is no exception. Most homeowners go through spring and summer not giving their roofs a second thought, followed by a mad dash in the fall to get them repaired or replaced before the rain hits. That’s why autumn is typically the busiest time of year for roofers. By waiting until late summer or fall to schedule your roofing project, you put yourself at a major disadvantage. Since most roofing contractors’ calendars fill up by this time, you may not be able to get the contractor of your choice, and even if you do, you may have to schedule the job weeks later than you’d hoped. You’re also likely to pay a higher price, due to the rate increases that typically occur in conjunction with increased demand. What’s worse, even though you’re paying more, you’re less likely to receive good service, as your swamped contractor and crew will be hurrying to finish your project so they can move on to the next. So, rather than waiting until the busy season, a better option is to plan ahead and have your roof replaced in the spring. Since contractors aren’t as busy during this time, you’re more likely to get the contractor you want, as well as a lower price and better service. SAN JOSE — Host, Sarah Rutan: If you’re anticipating a roof replacement, make sure to plan it for the right season—otherwise, you may end up paying more than necessary. Today we’re in San Jose with Diamond Certified Expert Contributor Darryl Simon of Simon Says Roofing to learn more. Diamond Certified Expert Contributor, Darryl Simon: If you know you need some sort of roof work done the worst thing you can do is wait until late fall or wintertime to get it done. If you wait, you’ll usually pay a larger price because most roofing contractors are very busy at that time. Or you might not get the contractor of your choice. Or get the work done in a timely manner. If you get the work done in early spring – which is the best time to get it done – you will pay a cheaper price because most contractors aren’t that busy. And you will get better service as well. Simon Says Roofing : Average 9.0 out of 10 based on 152 unique customer surveys of customer satisfaction. They are very reliable. He put other customers aside because we had an emergency, a leak. He came back the next day to take care of it. Very personable and not pushy, he is from the same area so we talked and reminisced about places in common. They were good and I love the way it looks. It looks great and I always say you get what you pay for. They were very helpful and answered all my calls. They were great. It's an owner/operator company and he's out there on the site. They have very good workers, good clean up and I would use them again. They were timely, did a nice, neat, efficient job and the result is beautiful. Quality work, their quote did not include a lot of extra stuff that was not necessary. They keep their promises and the quality was good. They were timely in getting back to me, professional and it looked better than expected. They take care of their clients very well. They were very conscientious about their work and they went above and beyond what they are supposed to do when they saw additional damage within the original contract. They're reliable, on time as promised, and they know their job. The quality of the work itself, it was one of the most satisfying experiences that I've had with a contractor. They were wonderful, and I would recommend them. They were prompt, they did a good job, it was a fair price, and I liked them. The personal commitment to the customer, they really made sure I was taken care of. I thought he gave me options and basically pointed out that I didn't need to replace the roof right away and just do some repairs, so I could delay the actual improvements and stretch it out for 3 more years, and that's what we did. It is very easy to communicate, and the work is good. I would say that they're very professional people, responsive, on time, and they give quality service. They're also really flexible, and they try to exceed their customer's expectations. Teamwork between the owner and his wife, he does the outside work, and she coordinates things in the office. They collaborate, and together, they provide very good customer service. The time it took to get things done and finished was very good.